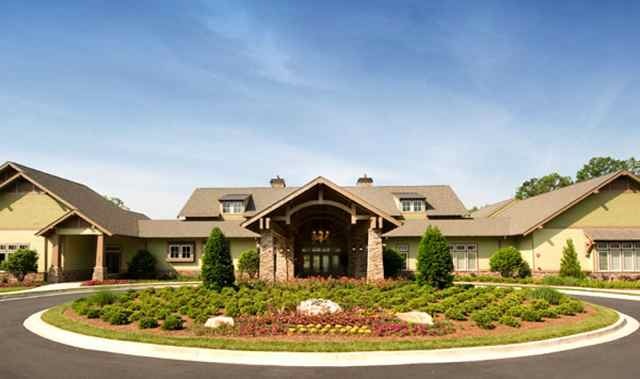 This 55 and better community has an incredibly spacious clubhouse with an array of amenities. Set in Canton, Georgia, Soleil Laurel Canyon is a mid-sized community which features impressive amenities and homes in a wide range of sizes and styles. The development is ideally located between Atlanta's urban attractions and the rustic beauty of the North Georgia Mountains. Its on-site amenities also support an active lifestyle with highlights including a 28,000 square-foot clubhouse, access to an 18-hole golf course and a variety of outdoor activities. Soleil Laurel Canyon was opened by Levitt & Sons, in 2007, and is being developed today by Active Lifestyle Communities. 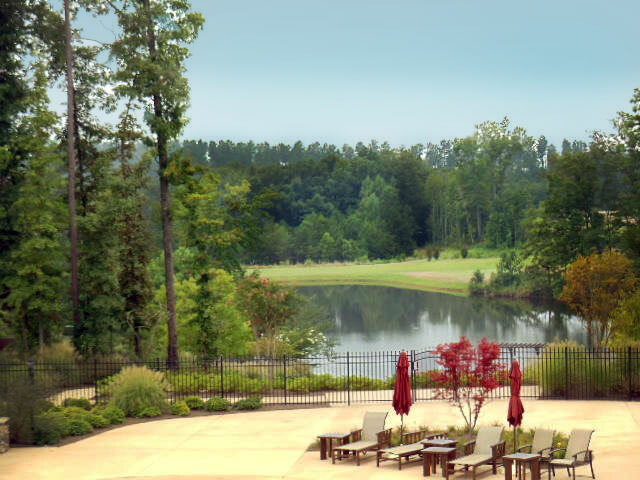 Its prime location puts residents in easy reach of Atlanta area attractions, via the nearby Riverstone Parkway. Upon completion, the community will include 728 single-family homes. These homes are currently available on either a resale or new construction basis. At the heart of the community, the Grand Clubhouse features all the amenities needed to support active adult living. This 28,000 square-foot facility offers social areas including a hobby and game room, a card room, a billiards hall, an arts and crafts studio, and meeting rooms. The state-of-the-art fitness center includes cardiovascular and strength-training equipment, as well as an aerobics and dance studio, private massage rooms and an indoor saline swimming pool. The clubhouse also includes a coffee bar and a ballroom with its own stage. Outdoors, Soleil Laurel Canyon's beautiful grounds provide even more space for social and recreational activities. The lagoon-style swimming pool is a popular gathering place during the warm summer months, while residents can enjoy friendly competition with eight tennis courts and two bocce ball courts. Additional amenities include walking and biking trails, a greenhouse and horticulture center, and an outdoor amphitheater. Residents can enjoy the scenic beauty while taking a refreshing dip in the zero-entry lagoon pool which has an expansive deck. Resident golfers will also be happy to know that the community is adjacent to the Canton Golf Course. This beautiful club features an 18-hole golf course with fun, yet challenging play for golfers of all skill levels. Single-family homes in Soleil Laurel Canyon were specifically designed for active adults aged 55 or better. Homes originally built by Levitt & Sons are now available on a resale basis, while both new construction and resale homes by Active Lifestyle Communities are currently available as well. Throughout the community, single-family homes range in size from 1,418 to 2,996 square feet. Depending on the model, homes may include two to four bedrooms, two to three-and-a-half bathrooms, a separate den and either a two or two-and-a-half-car garage. With its resort-style amenities, diverse homes and prime location, it's easy to see why Soleil Laurel Canyon is a popular retreat for many active adults.